oh man. we are getting so close to that big day of feasting and giving thanks and gathering around the table that cooks and food lovers look forward to with such a great big giant buzz and anticipation this time of year. I am just a little bit (a lot bit) excited as this is the very first thanksgiving dinner I’ll be hosting all by myself. this dinner is at the gates folks and I’m deep in having way too many tabs open on my phone planning mode. those little cogs in my food brain (which is pretty much all of my brain) are turning fast (i think you can relate). these are the moments i love to savor; when i just feel so silly happy that food is pretty much my life. 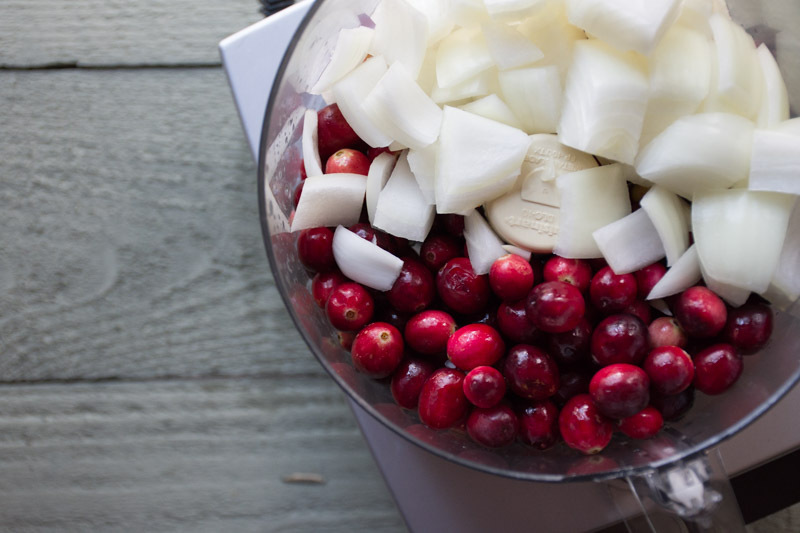 especially when it means making this way delicious cranberry relish with horseradish and sour cream. 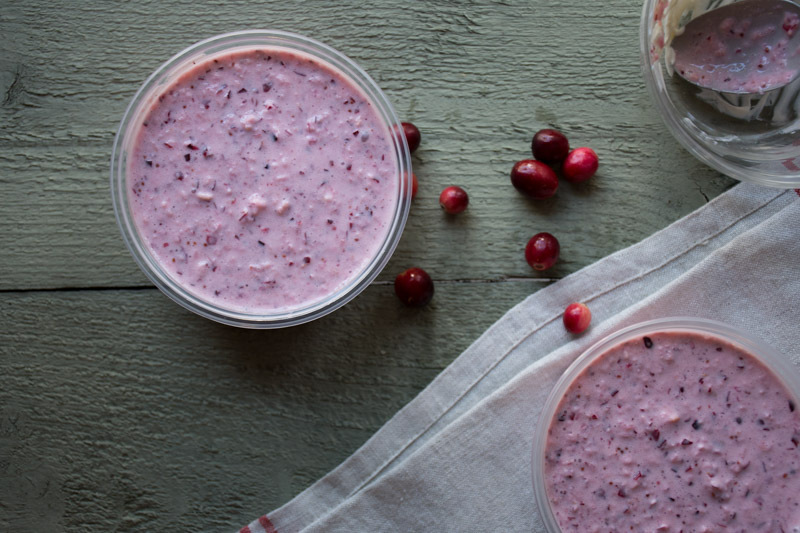 because yes those things do taste amazing together and yes you DO need to try it this thanksgiving! my life was once changed by this recipe and now I’m just going to go ahead and pass along the favor to you. and this seasonal hearty green salad that is healthy and vibrant with a bracing vinaigrette that will cut through the richness that will surely fill our plates. but of course there’s also the traditional recipes that fill our table again and again and could never be left behind. they’re like the backbone of thanksgiving. 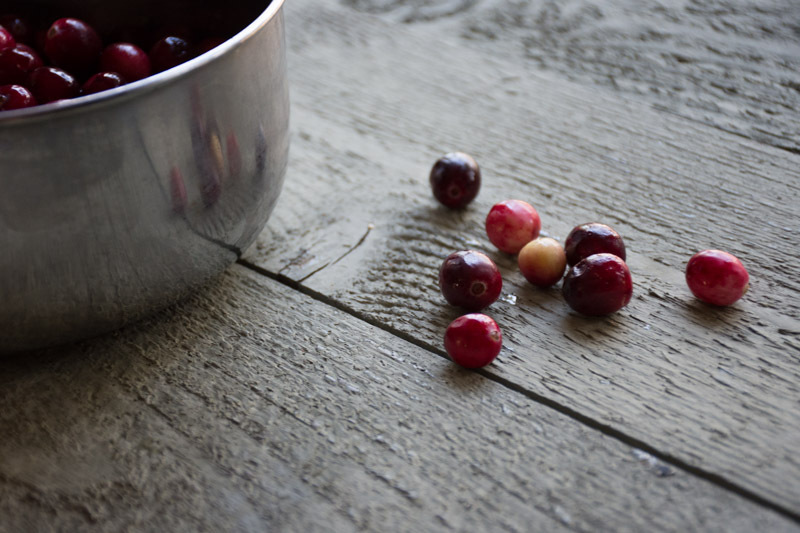 usually passed down from friends or family, they’re the recipes that remind us of thanksgiving’s from the past and the love and friendship that has shaped our lives and fed us the most delicious food. the little (and sometimes really big) reasons that we give thanks; not just on thanksgiving but every day of the year. 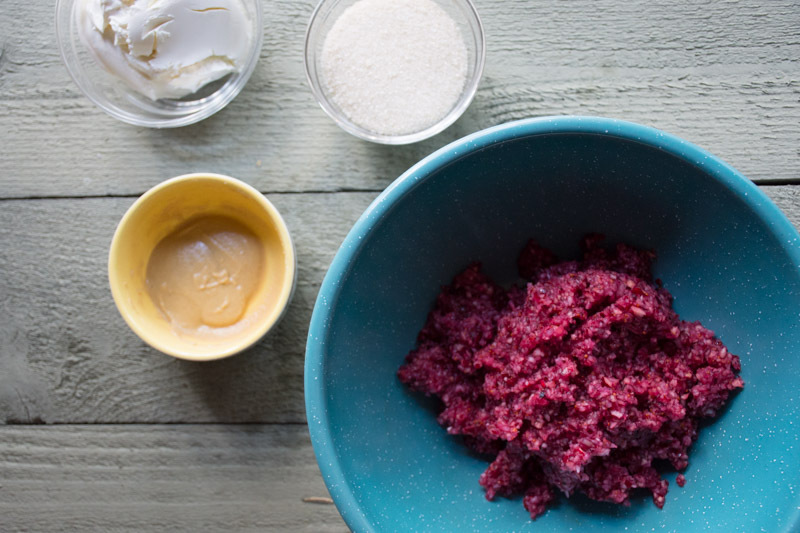 this recipe for cranberry relish with horseradish and sour cream is one of those recipes. I first tried it about 5 years ago at my very best friend’s families thanksgiving at their big beautiful feel-good house in the wisconsin country side. I’m not sure if it was the magic of the place, or the magic of the mama but I totally fell in love with it at that very moment. I’ve since learned that it’s a family recipe from Mama Stamberg’s kitchen that’s shared every year on npr. 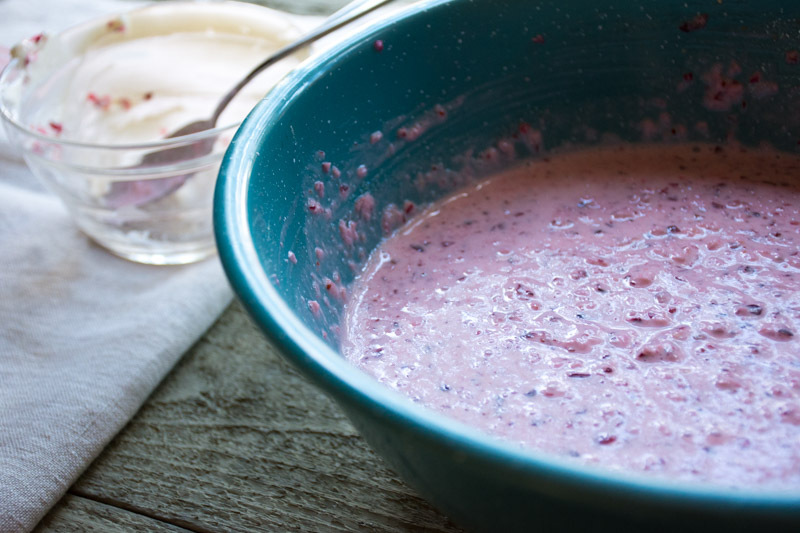 we are so lucky that she decided to share this recipe with the world because it’s creamy and zippy and something that will surely be a stand out conversation starter at your holiday table. even just the look of it is dazzling and lovely. made a few days or even a week in advance and stored in the freezer, all you have to remember to do on the morning of thanksgiving is to move it to the refrigerator to thaw slightly (planning tip: set a reminder on your phone so you don’t forget!) when it’s time to eat you just turn it out onto a small plate and serve alongside all the good things. bright pink and still slightly frozen it’s going to melt lovingly into your crispy roasted turkey skin, buttery mashed potatoes and fragrant stuffing. it’s such an easy recipe that you couldn’t screw it up even if you tried. you don’t even need to turn on a heat source, which is really quite a comforting quality for a thanksgiving dish to have. 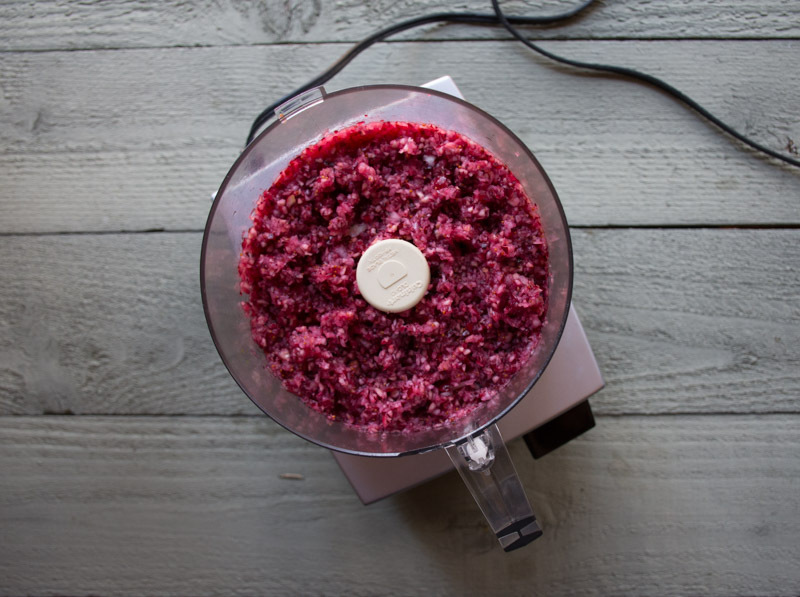 the cranberries and raw onion get processed together in the food processor (or blender) until just before they’re totally smooth, and then mixed together with sour cream, horseradish (the quantity of this can be adjusted to your taste) and a bit of sugar. 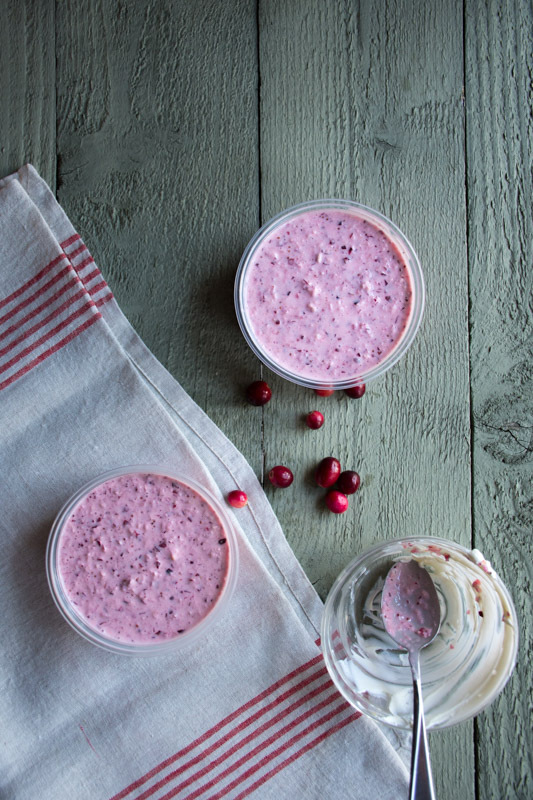 you’ll pour into whatever little containers you like and tuck it away in the freezer for at least 24 hours, but it could be longer if you’re prepping in advance. 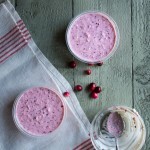 a delightfully different recipe for cranberry relish with horseradish and sour cream. zippy, bright and lovely it will dazzle your guests and delight your palate. 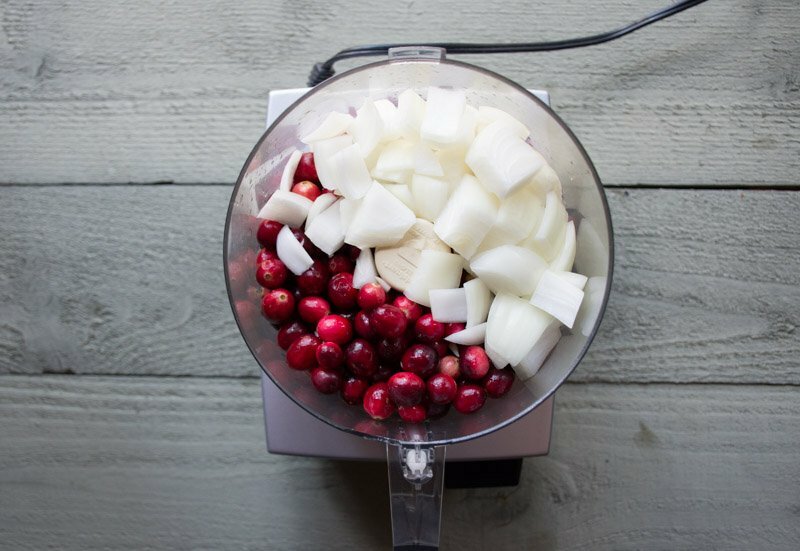 put cranberries and chopped onion in the food processor and process until well combined but not totally smooth. move to a bowl. add remaining ingredients and mix together. taste to see if you would like more horseradish. pour into a few small containers and freeze (I filled 3 half pint containers). the morning of thanksgiving move to the refrigerator to thaw slightly. when you’re ready to serve turn it out onto a small plate. it will still be slightly frozen and a lovely shade of pink! This entry was posted in dressings & sauces and tagged condiment, easy, quick, thanksgiving, vegetarian on November 17, 2015 by Nyssa Tanner. Ok, you convinced me! I’ll make this a star on our Thanksgiving table! My curiosity about this horseradish business has been piqued! Are you cooking at your house? Expecting a big crowd? I’m jealous of all who will be feasting on your mouth watering creations! I’ll be thinking of you and giving endless gratitude for our friendship! xo my love! 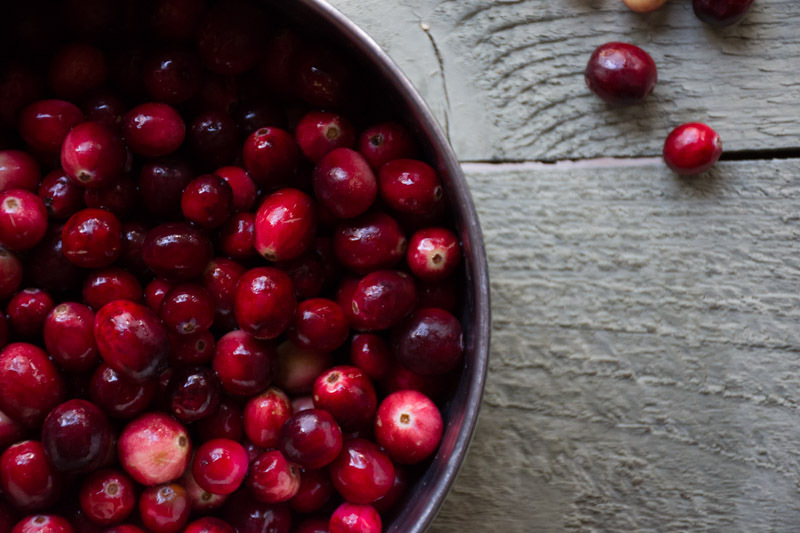 What is the weight on 2.5 cups of cranberries? I’m a total Instacart junkie and am gonna IC my Whole Foods grocery list straight to my office door! And I don’t feel a bit bad about it since I spend 3 or more hours a day commuting and anywhere I can save myself time, I will! I just made this and put it in the freezer for Thanksgiving! It is soooo good! I love the spicy/savory/sweet/creamy combo! Delish. Thank you! Just finished and in the freezer now. Can’t wait to have it tomorrow! Happy Turkey Day! hooray! so awesome. happy turkey day to you too! !